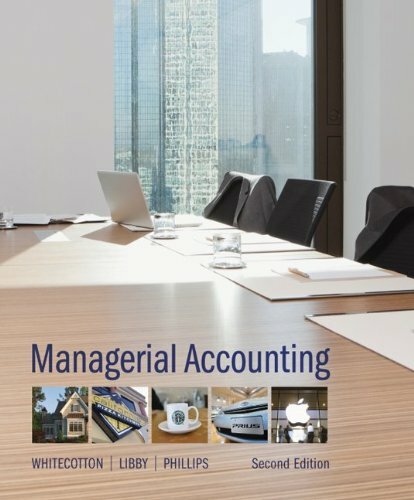 accounting in a way that connects conceptual understanding to the real world, so students will be able to analyze and apply their managerial accounting knowledge successfully in careers as managers in the world of business. Whitecotton 2e will engage and motivate students by presenting accounting in the context of real, recognizable companies like Apple, Starbucks, and California Pizza Kitchen, then integrate those companies throughout the chapters. 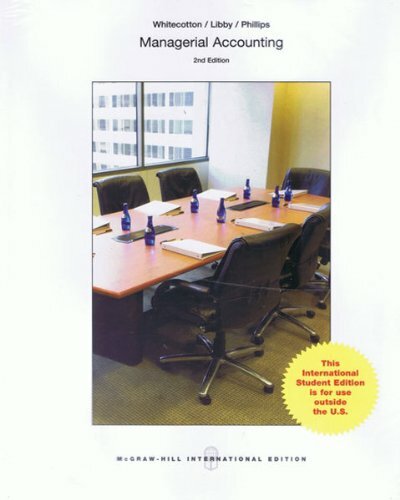 This will allow students to see accounting information being used to make real business decisions in companies that are part of their lives, helping them connect their learning to the real world.McGraw-HillConnect Accounting Plusprovides a complete digital solution with a robust online learning and homework management system, an integrated media-rich eBook, assignable end-of-chapter material, algorithmic functionality, and reporting capabilities.Contained withinConnect Accountingis McGraw-Hill’s adaptive learning system, LearnSmart, which is designed to help students learn faster, study more efficiently, and retain more knowledge for greater success. In addition, Guided Examples provide students with narrated and animated, step-by-step walkthroughs of algorithmic versions of assigned exercises. was awarded the AICPA/AAA Notable Contributions to the Accounting Literature Award. He received this award again in 1996 for a paper. He has published numerous articles in the Journal of Accounting Research; Accounting, Organizations, and Society; and other accounting journals. He is past Vice President-Publications of the American Accounting Association and is a member of the American Institute of CPAs and the editorial boards of The Accounting Review; Accounting, Organizations, and Society; Journal of Accounting Literature; and Journal of Behavioral Decision Making. Accounting Education, Journal of Accounting Research, and Organizational Behavior and Human Decision Processes. Fred currently serves as an associate editor of Issues in Accounting Education, and he is a member of the Teaching & Curriculum and Two-Year College sections of the American Accounting Association. In his spare time, he likes to work out, play video games, and drink iced cappuccino.